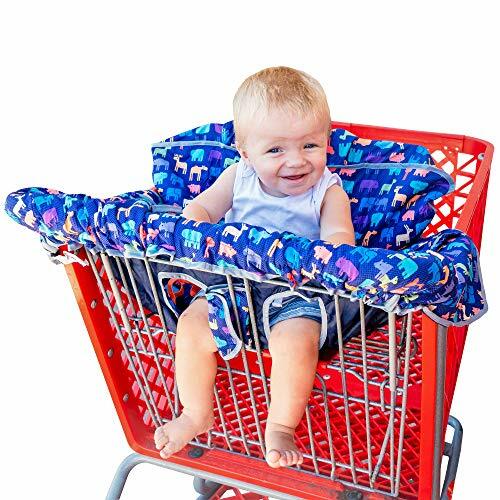 New from Busy Bambino: 2-in-1 shopping cart/high chair cover perfect for you and your baby. Now available in a beautiful animal print. Buy Now! View More In Shopping Cart Covers. - Now rolls up into a small and super cute pouch that can fit into your diaper bag! - Pocket for your cell phone (fits all smart phones) - perfect for your baby to play and watch cartoons while you shop! - The PERFECT baby shower gift! Moms absolutely love this product. If you are looking for unique items Busy Bambino is a must add to your registry and a must-have baby necessity! Fits all carts including Walmart, Target and Costco. If you have any questions about this product by Busy Bambino, contact us by completing and submitting the form below. If you are looking for a specif part number, please include it with your message.